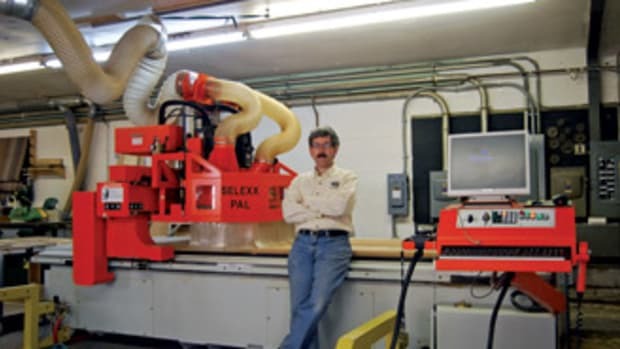 When it comes to design, manufacturing and shop-management software, particularly CNC-related programs, speed and simplicity are what woodworkers need to boost their businesses. 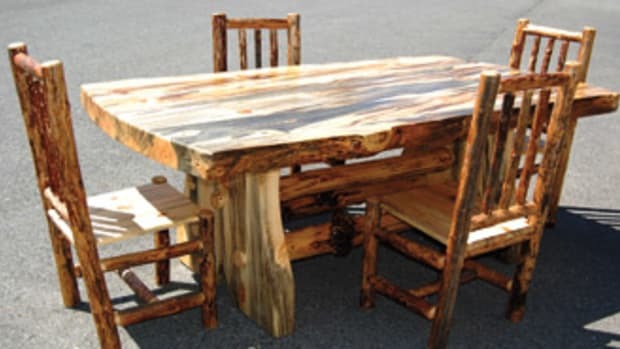 Likewise, manufacturers interviewed by Woodshop News said streamlining the production process continues to be their chief goal behind the development of their latest offerings. The end result, though certainly debatable, is that computers are contributing to much of the work on products that are labeled as custom. Take, for instance, the latest Commander package from KCD Software. 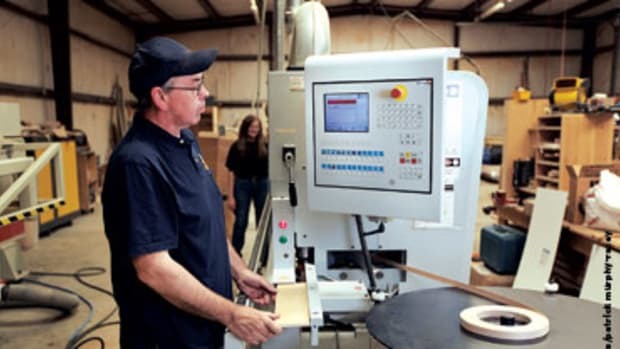 Product developer John Murphy says the program, updated in December 2012, sends cabinet or closet designs directly to the CNC machine with the press of a button. The key lies in the program’s “built-in” intelligence feature. Delcam’s Mary Shaw discussed some of the highlights in the company’s latest ArtCam packages released in December, which include ArtCam Express, Artcam Insignia, and ArtCam Pro. “We added a number of enhancements to the full range of products that have to do with the availability of machining in 64-bit, which makes calculations much faster. With all of the enhancements of different Windows platforms, we’ve enhanced our software products so users can get the maximum benefit of hardware technology, so you’re gaining extra speeds using the 64 application. We also have it in the 32-bit format as well,” says Shaw. ArtCam Express is an entry-level product geared for shops that are new to CNC machining. ArtCam Insignia is used more often in mid-sized production facilities because it has many nesting application features. ArtCam Pro is considered the high-end package for custom woodworkers with large production requirements. “One thing that’s really trendy right now is adding textures to any of the projects you’re making and we have really neat features that enable you to do that, like adding feathers or fur to make it look more realistic. A lot of people want to add a different complex motif and weave within the cabinets to make them customized, so we’ve added 3-D modeling to the latest Insignia package,” says Shaw. Source list • All Master Software North America. 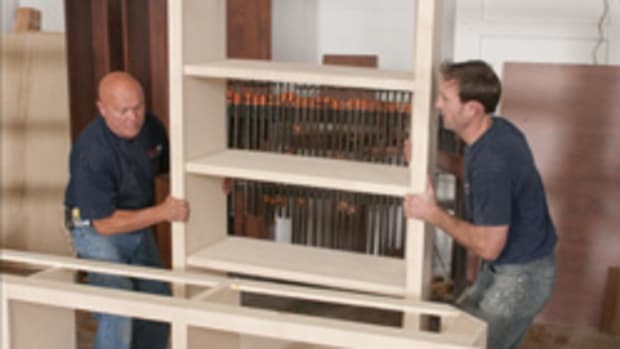 Tel: 410-753-2214. www.amsna.net • Cabinet Pro. 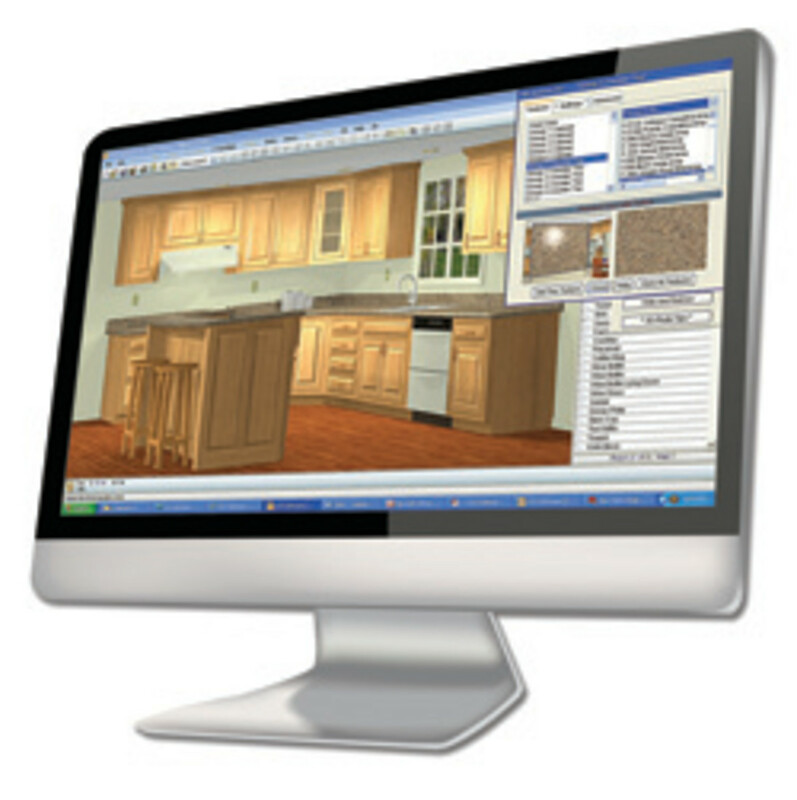 Tel: 541-664-2808. www.cabinetpro.com • CNC Software Inc. Tel: 800-228-2877 www.mastercam.com • Computer Associates. Tel: 800-422-4782. www.caisoft.com • Delcam. Tel: 877-335-2261. www.delcam.com • KCD Software. Tel: 508-760-1140. www.kcdsoftware.com • Microvellum. Tel: 800-204-0913. www.microvellum.com • Planit Solutions. Tel: 800-280-6932. www.planit.com • SA International. Tel: 800-229-9066. www.saintl.biz More software providers can be found in the Woodshop News Resource Guide at www.woodshopnews.com. Paul Losavio, of Planit Solutions, discussed the efficiency benefits of the company’s latest Screen-to-Machine solution, the S2M Center. 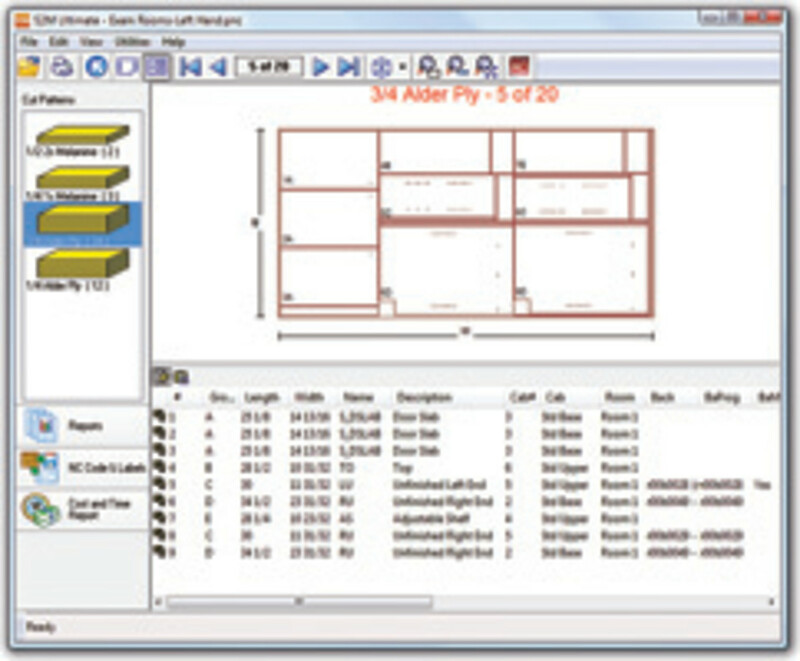 Previously only available to Cabinet Vision and Cabnetware users, the CAM software is now offered as a stand-alone solution for any CAD user who needs to get individual or batches of DXF drawings from the computer to the CNC. Users can go from DXF import to machine ready G-Code sent to an unlimited number of NC/CNC machinery in five quick mouse clicks. This allows users to dramatically reduce material usage and labor costs by streamlining their manufacturing processes. “The S2M Center brings a new level of automation to the woodworking industry, providing a single-source solution for processing all parts. 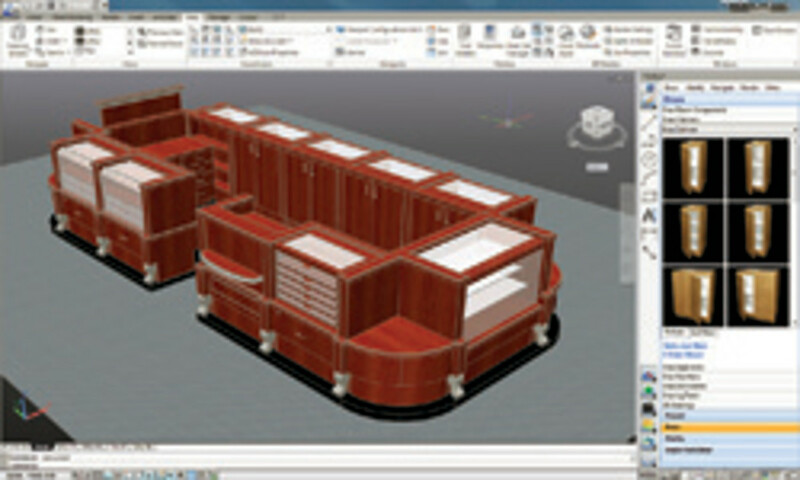 Now any CAD user can experience true screen-to-machine functionality, greatly reducing programming time and the opportunities for errors by streamlining the process of sending designs straight to computer controlled machinery, as opposed to using separate software applications for each type of machine,” Losavio says. Microvellum Software’s Clay Swayze discussed the company’s customizable system that can generate quotes, cut lists, production reports, optimized patterns and machine specific G-code for virtually any CNC machine. He emphasizes that the advantages to using one software system for designs, estimates, engineering and manufacturing are enormous. 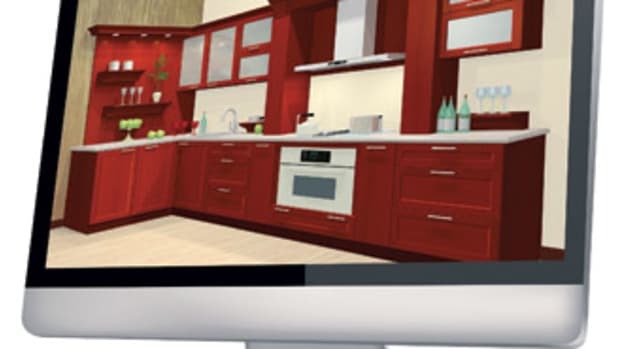 “Residential cabinet manufacturers can produce photo-realistic presentation renderings for their clients and generate accurate reports for projects. 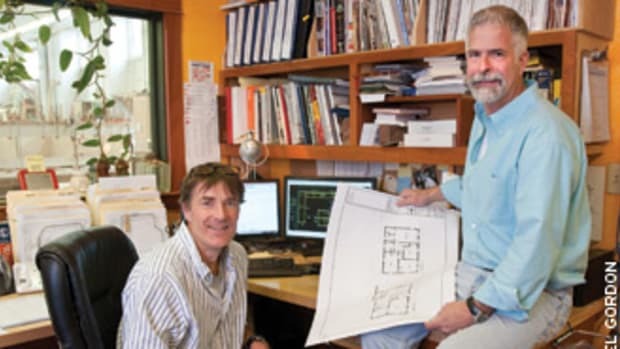 Time-saving tools such as automated 2-D drawings and 5-D drawing allow you to work seamlessly with architects and deliver detailed drawings for your assemblers and installers,” says Swayze. 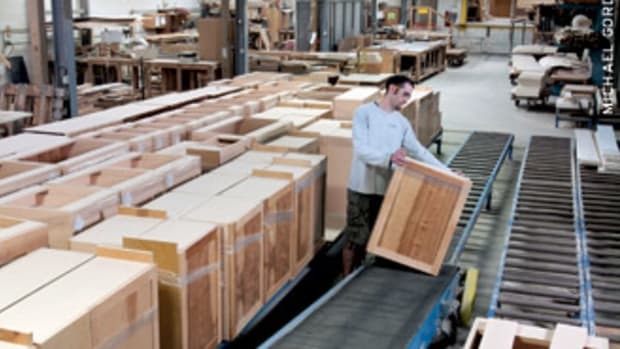 In regard to business management, Thomas Spillane of Computer Associates discussed the new Ponderosa Sales Portal, a complete B2B e-commerce solution that enables millwork distributors to increase sales, improve customer service, reduce errors and better manage transactions with customers. The sales portal includes a suite of integrated Web-based self-service tools that let customers interact online with your business 24/7. 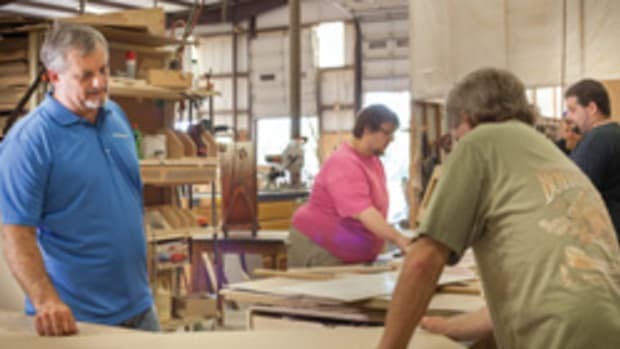 Customers can build and view their own unique millwork products, request product quotations, submit sales orders and view account information. 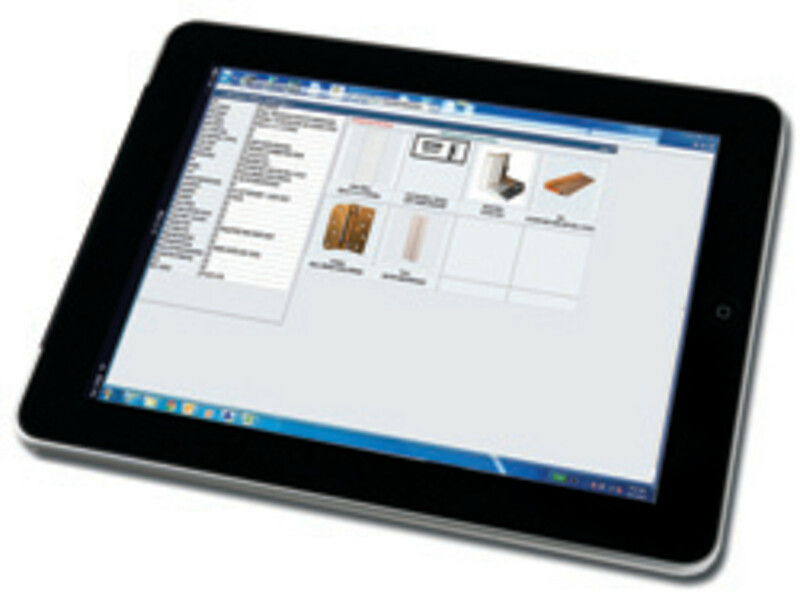 Additionally, the Ponderosa product configurator (ProCon) simplifies production ordering and reduces errors for interior and exterior wood, steel and composite doors, window units, stair systems, trim packages and other shop units. Users choose their desired options, each with rules or constraints to ensure that the options are compatible and can be properly ordered. “For example, if someone is interested in a custom entry-door system, they view, select and price the specific door slab type, sidelights, exterior trim and other options to fit their project, without having to wait for the customer service department to open. Once the order has been submitted, the dealer can confirm specs and pricing with the customer, commit inventory, schedule assembly time and track associated labor,” says Spillane. 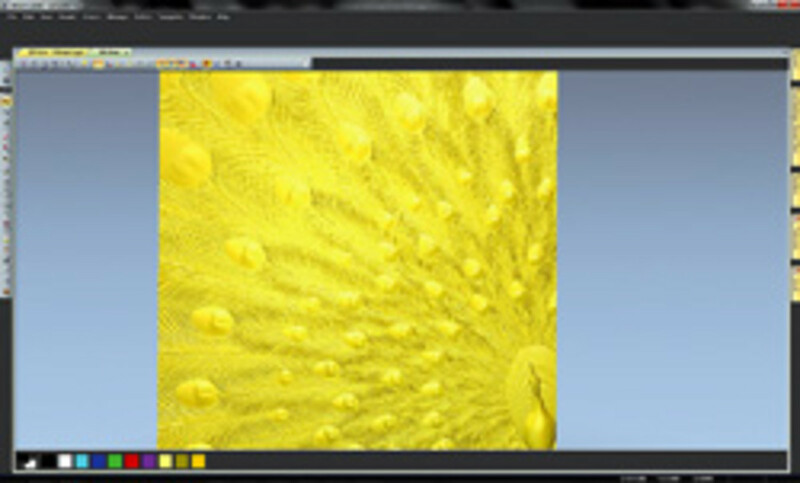 All Master Software North America offers a host of CNC machining software in its CabMaster suite. CabMaster Machine is the most advanced of the products. It allows users to generate layered DXF and a list file to import any nesting and tool-path engine that accepts them. 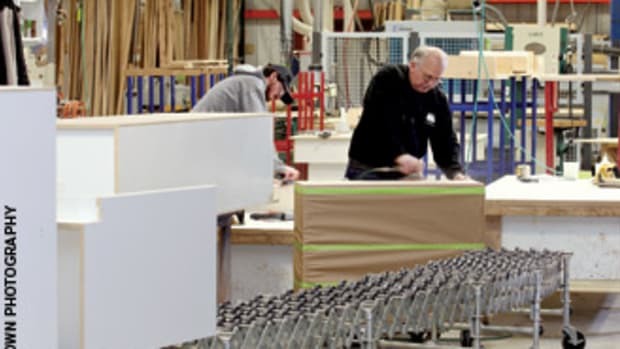 CabMaster Free Form offers a new way of designing cabinets and components from scratch, automatically adding the machining operations after the cabinet is specified and added to the overall design. CNC Software offers a selection of Mastercam CNC programming products, including Router, Plus, Pro and Multiaxis versions that help woodworkers make the most of their machines. Mastercam Router is the standard product, an associative CAD/CAM program specifically designed for routers that includes the full Mastercam CAD engine plus 2-D feature-based machining on solids, advanced part and tool-path nesting, block drill and aggregate head support, and support for raster-based files. SA International’s new EnRoute 5 program, introduced at IWF 2012, provides intuitive creative tools and accurate tool-pathing for carving and engraving needs. Among the major features is a fully-equipped interface containing enhanced nesting options. Cabinet Pro offers the Cabinet Pro CNC edition designed to produce G-Code directly from a cut list and panel-optimized parts so that a CAD software package is not necessary.